Episode E-40, Chris Brown & T.I. Bunkin' Chris Brown, Tyga, Jay 305 & T.I. 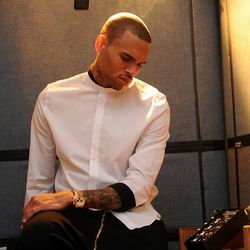 Discover more playlists and music by Chris Brown on PLAYLISTED. Like Wobble Up (feat. Nicki Minaj & G-Eazy), Wobble Up (feat. Nicki Minaj & G-Eazy), Chi Chi (feat. Chris Brown) (Croatia Squad Remix) and Back To Love.